The Practical Cook | Dedicated to solving life's little kitchen problems. Gentle readers, I do apologize for my absence. Work has taken me abroad to eat new and different things (along with doing my actual job!). More on that in future epistles. For today I’m determined that spring will be in the air. Even if that air looks like this. Yes, that’s snow. No, I don’t appreciate it in late March. But I digress. This weekend the weather became springlike for a hot second, and baby carrot bunches were on sale and looking so tempting, it was time to grill. Another pro tip, wear gloves when moving your grill around the deck. Or you will look down and wonder what happened. First blood of the season. If you have been primarily a meat griller to date, let me encourage you to try any and all vegetables on the grill. I’ve got a grill basket for those things that won’t stay put on top of a grate, but carrots go so nicely lengthwise, and they’re so forgiving, they are a great starter. The Practical Cook admits that this batch got, ahem, particularly caramelized shall we say, as TPC attempted to do too much at once and the grill needed a bit of adjustment. However, still delicious. Fire up the grill, preheat to medium-high. Scrub and oil grates so you’re ready for slightly sticky carrots. In a medium bowl, toss peeled carrots with olive oil and salt and pepper. Sprinkle cumin and clementine juice on evenly and toss again as necessary. Grill the carrots, about 8-10 minutes, or to preferred doneness. Cooking lower and slower will be softer carrots. Higher heat and faster = impatient family and more al dente. Gentle Readers, here we are, springing forward.Though I love the birds chirping and the tree frogs singing, one could do without the loss of sleep. As we enter this time between seasons (is it liony outside, is it lamby, one never knows), I often crave substantial but not heavy fare. Enter the humble pasta toss. You know it, the thing you create from whatever’s available? This is that, but guided by a desire for stronger flavor and not one more jar of red sauce. Without further ado, and certainly without enough sleep . . . Put on a large pot of water to boil, add salt when the water boils, and cook the pasta per pot directions. Cook until al dente and then drain and set aside briefly. Meanwhile, in a medium pot with a good lid, heat some olive oil over medium heat. When hot, add the sliced carrots and the garlic cloves in their skin. Add some salt (I leave this to you), and the Italian seasonings. Cover with the lid and stir and check on it often while the pasta cooks. When the carrots are a bit softened and the garlic is starting to soften, add the artichokes to the pot. Keep stirring. When the garlic cloves are softened, pull them out, peel them, mash them with a fork, then add them back to the pot. Lower the heat, add the beans, cooked pasta, and sun dried tomatoes. Be sure to include some of the oil they were packed in. Add the poultry seasoning, don’t ask, just trust me, additional olive oil as needed to make it moist, and stir gently until warmed through. Bring off the heat, put in serving dish, top with lemon juice, and adjust salt and olive oil to personal taste. Enjoy! I love the simplicity of the dish, and the savory nature without it being a complete salt lick. It’s infinitely flexible, so match it to your needs. It is a very filling dish though, so it will easily feed a family of 4. Gentle Readers, being Southern, as I am, there are few versions of chicken and rice that I haven’t tried. Yet, no matter how much of a fan of leftovers I am (cold fried chicken, cold pizza, cold Mexican, yes please), I rarely considered rice for breakfast. As a regular business traveler to the West Coast, I have certainly seen the pot of congee gurgling along right beside the oatmeal, but I passed it by. Shame on me for not investigating further and realizing this before last month, but jook and congee are really close relatives. So when I started to crave jook, I googled and learned the new love of my kitchen life, my Instant Pot, could deliver. Shout out to Sweet Comfort Kitchen, the Instant Pot Chicken Jook recipe I based my trial run upon. I used all water instead of broth. Chicken quarters are cheapest, and since I’m picky about my bird (I can legitimately taste the difference between commercial and organic chicken, snarky Perdue commercials notwithstanding), I bought those and cut them into two pieces with my trusty poultry shears. Don’t be afraid to add more water to adjust to your preferred texture. And if you’re new to this like me, and have texture issues, like me, don’t skip the green onions and chopped peanuts or cashews. The soy sauce and toasted sesame oil shown here are key to punching the flavor. And when pollen slapped me in the face, I added red chili flakes to punch back. At its core, this is very simple chicken and rice with ginger, amended at the table to your specific taste. The recipe makes a lot. Everyone ate it and I froze a couple for delayed gratification. The chicken was hearty and filling as well, and it reminded me a lot of Chicken and Dumplings with 1/10th of the work involved. Not quite the refined smoked duck version of Samovar, but a great and simple technique to diversify breakfast, or really any meal. Savory rice, like so many other folks eat around the world, also lasts longer than my beloved commercial cereals, though it pains me to admit that. What’s on your breakfast table? Tweet my way @practicalcook! Gentle readers, in this season of a million germs, few things are more delicious than a bright gingery soup full of greens and carrots. Let us pause to say, I love ramen, I love noodles, and I love the little shops that sell those things. But I don’t live next door to any of them, and the habit gets expensive. And when I’m feeling a touch under the weather, I don’t feel like a fuss. Enter a homemade version. 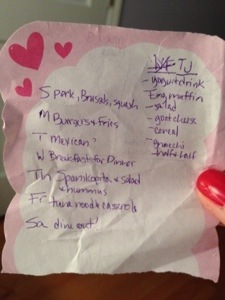 After a bit of googling, and combining recipes, here’s what I devised. This is flexible, work with what you’ve got in the house, substitute to your taste, with a couple of caveats: 1) the miso paste is worth finding as it adds a depth of flavor; 2) I love soba noodles in this, but you can sub (but buckwheat! ), just cook the noodles separately! The goal here is hot soup that is flavorful, filling, pretty healthy, and can open your sinuses without killing you in the process. Enjoy. In a large soup pot, heat olive oil over medium heat. When hot but not sputtering, sauté the ginger, shallots, and carrots, stirring frequently. When carrots are a little soft and the mixture is fragrant, add the chicken stock. Heat until it bubbles. 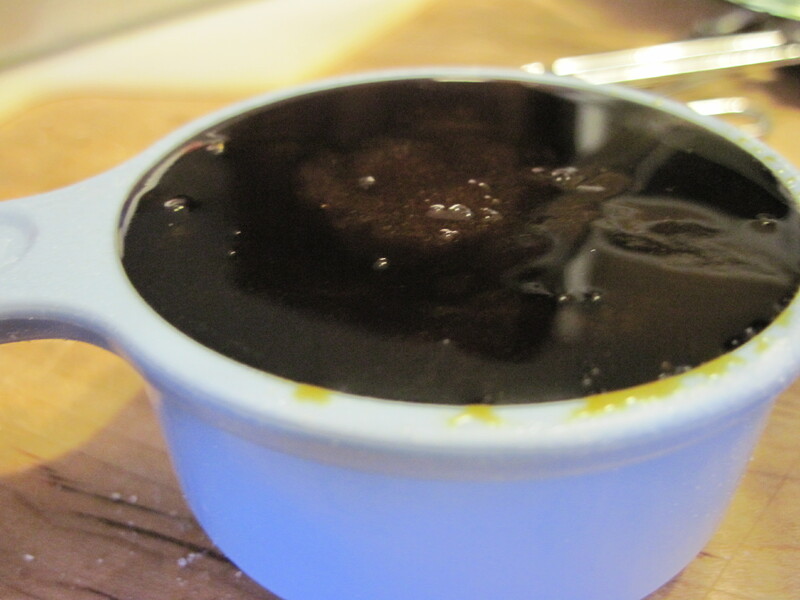 Take out a cup of the soup liquid, add the miso paste to it, stir to mix well, add back to the soup pot. Add the greens, cutting the heat off as they start to wilt. Taste the soup at this point. If you’d like, add soy sauce or red pepper flakes to adjust the flavor. Depending on how salty the stock was, you may not need to do much. In individual serving bowls, put a portion of soba noodles, and ladle the soup over them. Top with soft-boiled eggs cut in half. Serve immediately with soy sauce and spicy things (red pepper flakes or Siracha) so people can adjust to their level of tolerance. Gentle readers, it’s good to see you again. After a rather long hiatus that included an unanticipated kitchen remodel and an evolving set of household eaters, it’s time to put knife to chopping board and fingers to keyboard again. I experienced a major flooding event this past summer–a cold water connection, the braided steel that leads into a sink, burst while we were on vacation. It is every homeowner’s nightmare, and led to a six month absence and took things down to the studs in over 80% of the house. But from chaos comes innovation, and forced change can be good change, and that’s where this story starts. I had to pack up my whole kitchen and leave within 3 days. I had some choices to make about putting things back just the same or making changes. And how was I going to cook without my beloved grill in a rental kitchen half the size? There will be more stories about what one should take in such circumstances, and lots on renovating kitchens, but today is about food and my new love, the Instant Pot. I held out, thought it was faddish, turned a deaf ear to the wonders. Then the Black Friday sales pitches started and I caved. This won’t become the definitive Instant Pot site, and I can’t promise you’ll even like the recipes. But Gentle Reader, this one is for me. So join along if you so choose, and I’ll get back to business in the kitchen. Plug in your Instant Pot and make sure you have the lid ready and set up for Sealing. Using the Sauté function, heat the oil in the steel insert pot and add the onion, carrots, and celery. Crumble the pinch of Mexican oregano on tops and stir. Sauté for a few minutes until the veggies are softened slightly. While the veggies are sautéing, rinse the dried beans and set aside the seasoning packet. When the veggies are softened, add the rinsed beans and 7 1/2 cups of water to the Instant Pot, stir to mix. Hit cancel, put the lid on and lock it, and using Manual Pressure Cook, set the IP for 30 minutes on high. 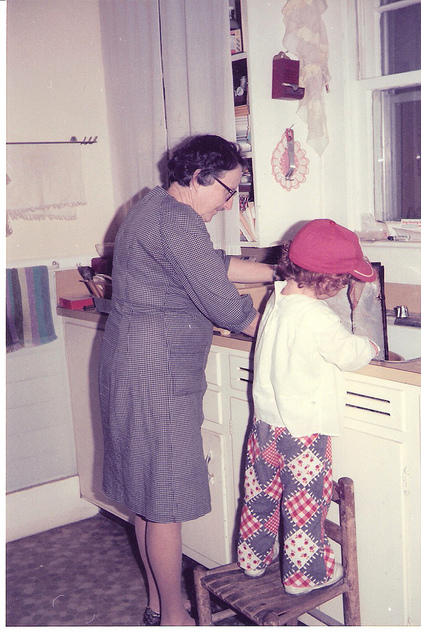 Take this new-found time that you are cooking for your family to read a book, write a blog post, do a crossword puzzle. I won’t tell. Yell out from the kitchen how hard you are working, take a selfie with your IP, live life. When the time is up, use the Quick Release method to release pressure, please don’t burn yourself. Remove the lid, add the tomato sauce, the spice packet, and the cooked rice. Stir and adjust seasonings as needed. If it’s too soupy, keep stirring and let the beans and rice absorb some liquid. You can always add more rice or water to adjust, but don’t react too fast before the dish finds its balance (Zen jambalaya). Using silicone mits or hot pads, remove the pot from the cooker, and check seasoning. Add salt and pepper to taste. If you need meat, you can serve with cooked chicken, sausage, etc. 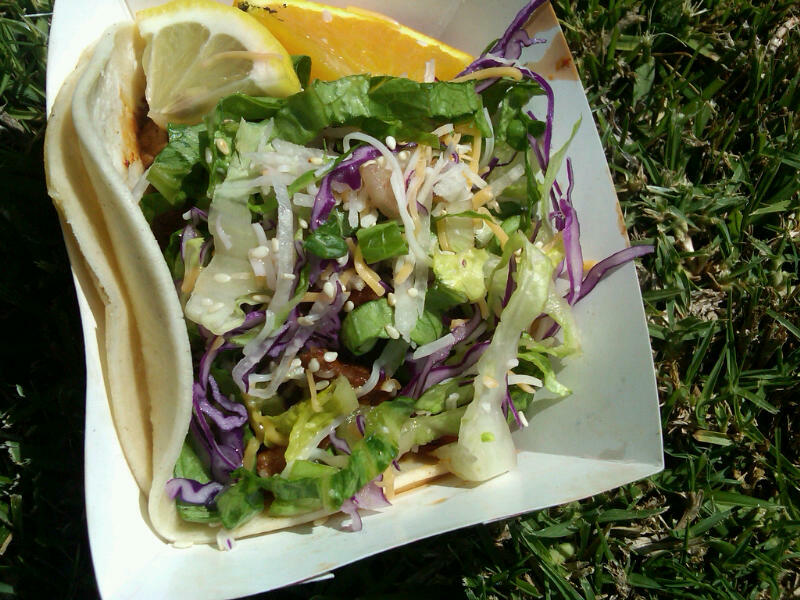 There are some veggie versions that would work as well, but we went straight hot sauce and let the good times roll. NOTE: Dear readers, please note that to cook the beans completely, you’ll need the full time on high pressure, including the time to add the rice, sauce, seasonings. Taste the beans for doneness before you proceed–if needed re-pressurize and cook a few more minutes! Until next time, would love to hear what you’ve been cooking! Perhaps this is premature, or maybe it’s the beginning of the end. We shall see. Gentle Reader, this has been an amazing journey. I need to take a break. I want to start something new, I don’t know what. All ideas welcome. I’ve got a few posts left in me, and we’ll see if I can sustain a less regular publishing schedule. I’ve love to hear your thoughts. Silence is a thought too, and I’ll accept that slipping quietly into the blog darkness if that is what’s to be. To all who have eaten with me, asked questions, directed me to amazing food, thank you. I hope to see you at my table or yours at some point in time. I’m coming back in December to post a few things, if time permits and if there’s interest. Happy cooking until then Gentle Readers! Gentle Readers, what a long strange week it has been. Just finished up with a very large project that involved time spent cooking in a kitchen (not my own). What did I discover? I love asparagus and pancake mix is infinitely better when you doctor it. Not earth shattering, perhaps, but it’ll do for this week. 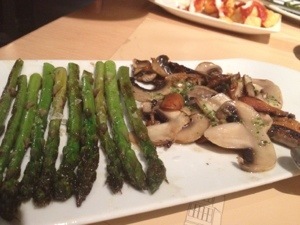 One of the best tapas from Barcelona’s famed Cervezeria y Catalana, Asparagus and Mushrooms. We ordered two. Having recently returned from Barcelona, I find myself missing the concept of small plates. Though so much of the traditional tapas fair is meat or seafood focused, my heart was won over by the simplest of dishes, roasted mushrooms and asparagus. This was not fancy, just some good salt and olive oil, fresh ingredients, and a practiced hand. 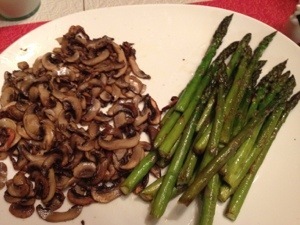 My version of asparagus and mushrooms at home! Since then, it’s created a small obsession. I reenacted at home, to much fanfare (the small bit left over made for a killer lunch omelet the next day). Again, I discovered that asparagus is often the answer for me. 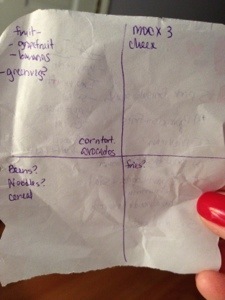 I love the combo, too, either standing alone as tapas, or in an omelet, pasta, risotto, etc. 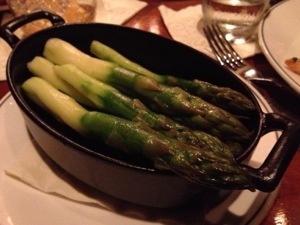 Asparagus from the Bull and Bear at The Waldorf Astoria in New York. My favorite thing on the menu. 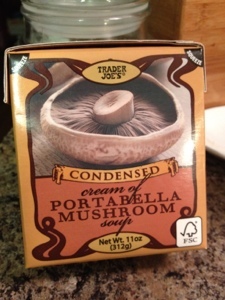 Heat the oven to 400 degrees F. Brush the dirt of some baby bella (or white button) mushrooms. Drizzle with good Spanish olive oil and a bit of coarse salt. Roast until tender but not dry, about 10 minutes, stirring regularly. Pair with asparagus, soaked in water to remove grit and rinsed and patted dry, woody ends snapped off. You can oven or pan-roast the asparagus, same technique. Enjoy. Ole. The Jrs decided they wanted to honor veterans, and shy of MREs, this is what we came up with. This All-American meal, we may have it on English Muffins. Don’t judge. Thank you for your service. Favorite quote from the grocery aisle today: what’s the “International Food” aisle? I explain, the Jrs respond, oh, you mean dinner. I still find the denotation odd and amusing, but straight from the International aisle to you, we’re serving up leftover pork soft tacos. Or Fauxnitas. Mainly an excuse to eat grits and biscuits, truth be told. I will throw sauteed spinach and heirloom tomatoes on the eggs to fancy it up, but there will be molasses involved. It’s fall, and one must battle anemia where one may. We’re trying a slightly crustless spanikopita thing from the frozen aisle of Trader Joe’s. We shall see how this goes. I think the salad will be fruit to provide balance in the force. Perhaps some sliced apples with Maple Butter. Seriously fall, I have a crush on you right now. Even if you have a pumpkin aftertaste. I don’t joke about casserole love. 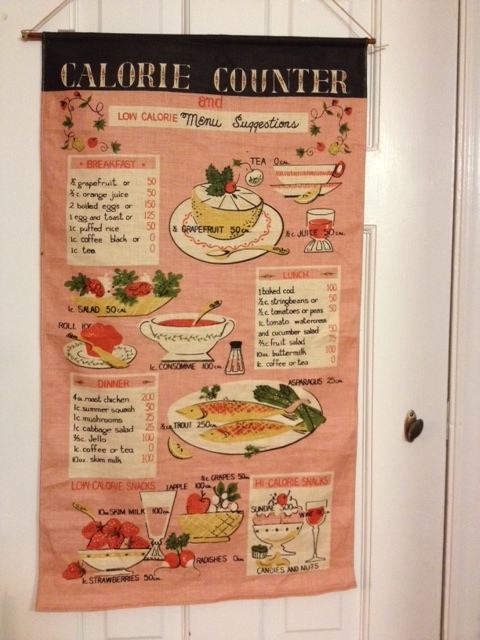 Clearly I was born in the wrong decade, or have fallen under the spell of my latest kitchen wall hanging. Oh, this is a classic. My latest kitchen acquisition: calorie counter from days gone by. I feel a run to China Wok or some other exotic location is in order. Bahn Mi? I say oui. 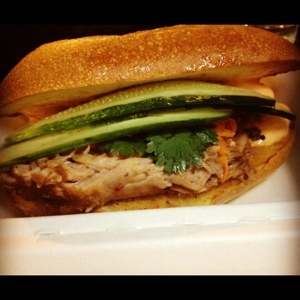 Pulled Pork Bahn Mi from Num Pang. It’s like Cambodia meets the South plus Sriracha. Thanks for sticking around. I’m planning to limit the blog to once a week for a while so that I have time to cook and keep up with TPCs Jrs’ active lifestyles. I’m still doing recipe and menu prep, and will break out the blogs accordingly as time and ingredients permit. What challenges can I solve for you? I take requests. Post a comment below. I don’t bite unless you’re shaped like a lamb-burger. 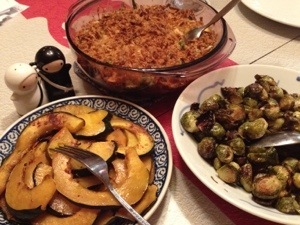 Coming up Sunday: Weekly Menus with Bonus Thanksgiving Tips and Recipes!